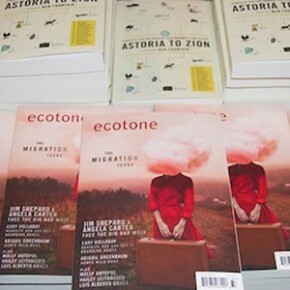 Nothing makes us happier than seeing the talented emerging writers we champion in the pages of Ecotone go on to publish books and reach a wider audience. In Sunday’s New York Times Book Review, Tom Bissell considers Elliot Ackerman’s debut novel, Green on Blue, which is told from the perspective of Aziz, a young Afghan man. “Virtually every artist interested in what’s beyond our ‘tiny skull-sized kingdoms’ (to use David Foster Wallace’s phrase) is guilty of appropriation,” Bissell writes. “Would that it happened more often; if Ackerman’s novel is any indication, there would be fewer wars if it did.” Read Ackerman’s story, “Charlie Balls,” also set in Afghanistan, in Ecotone 16, the migration issue. Congrats, Elliot! revealed at a ceremony in June. Elizabeth McCracken took home The Story Prize this week for her collection Thunderstruck. The acclaimed author’s return to the short story form after more than twenty years earned her the $20,000 top prize. The judges called McCracken’s book electrifying and cited her as a writer with compassion and as a master of the telling detail. Catch up on all the previous winners and finalists, including our own Edith Pearlman. Last year our staff members seeded a few Little Free Libraries across the country with Lookout books. 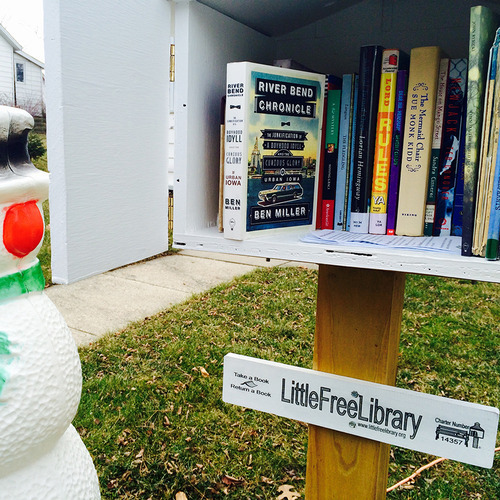 BookRiot suggests five tips for running a Little Free Library and shares what it means to be a steward of a small, literary hub. In the spirit of giving, UNCW’s Campus Life Arts and Programs is taking book donations for New Hanover Correctional Center. 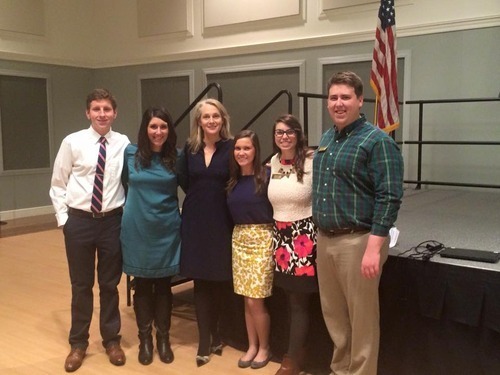 This week the campus hosted Piper Kerman, author of Orange Is the New Black, who spoke to a sold out crowd of 900 about her experiences during her incarceration, her work with the Women’s Prison Association, as well as her visit to New Hanover, where she discovered that female inmates have no access to a library. “Books were one of the things that saved my life,“ Kerman said. Lookout invites area authors and friends to join us in donating books. We’re sending over the full Lookout catalog! Drop your donations with Campus Life staff; every book counts. getting a jump start here. Stay tuned for a sneak peek in the coming weeks. UNCW’s spring break begins next week, and we hope all of you students have a good book to read on the beach.